We will begind the day Beiteddine palace complex, Lebanon's best example of 19th century architecture. Built by Prince Bashir, the palace is now used as a summer retreat for the president of the Lebanese Republic, and as a backdrop for many movie sets. Explore the golden walls, suspended gardens, and courtyard fountains, then enjoy a spectacular view of the complex from the village of Deir Al Qamar. 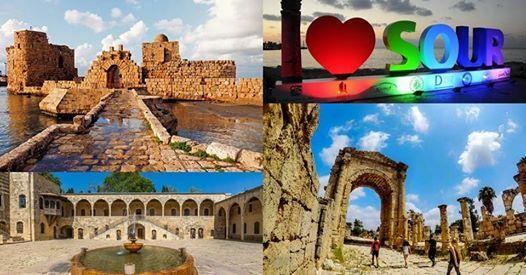 Then Travel back in time in the city of Saida (SIDON), the capital of South Lebanon.Learn about it's origins while visiting the Sea Castle built by the crusaders in the 13th century as a fortress of the holy , walking along the old souk,to the soap museum Beautifully restored and expertly designed, the soap museum building dates back to the 13th century, though the soap factory. 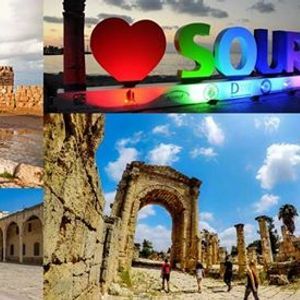 We will end the day at Tyre and its monuments, which have been declared UNESCO World Heritage Sites. And relish in the beauty of its old architecture and industrious maritime character.